Walter Parks - guitar, vocals on (4)  (5); Matt Lindsey - bass; Jagoda - drums. Guests - J J Grey - vocals on (1); Jimmy Hall - vocals on (2)  (3). Produced and arranged by Walter Parks. Jarrod England - vocals; Greg Martin - guitars; Dean Smith - bass guitar; Chris Hardesty - drums. Arranged by Rufus Huff. Recorded at Barrick Recording. Engineered by David Barrick. Produced by David Barrick & Rufus Huff. Doug Phelps - lead & harmony vocals, bass guitar; rhythm guitar, banjo, tambourine; Larry Goad - drums, shakers, banjo; Bruce Pearson - lead & rhythm guitar; Jim "Turbo" Kirby - piano, Wurlitzer piano, organ; Thane Shearon - harmony vocals on (9). Engineered by Larry Goad. Mixed and produced by Larry Goad & Doug Phelps. Recorded at Abbey Goad Studios, Madison, TN. Jimmy Hayes, "Sweet" Joe Russell, Dave Revels, Raymond Sanders, Jayotis Washington, B. J. Jones - vocals. Recorded at Peter Karl Studios, Brooklyn, NY. Produced and arranged by Dave Revels. Tim Smith - bass; Roddy Smith - guitars; Abe Stoklasa - dobro; Billy Contreras - violin; Ray Von Rotz - drums; Darryl Johnson - vocals. Recorded and mixed at The Groovehouse, Nashville, by Tim Smith. Vocal tracks recorded at Suite D Productions, Nashville. Produced by Tim Smith. Greg Skaff - acoustic and slide guitar; Darryl Johnson - vocals. Vocal tracks recorded at Suite D Productions, Nashville. Mixed at The Groovehouse, Nashville, by Tim Smith. Produced by Greg Skaff. Greg Skaff - guitar; Jimmy Hall - vocals; Darryl Jones - electric bass; Mike Finnegan - organ; Charley Dreyton - drums. Jimmy Hall vocals recorded at The Groovehouse, Nashville, by Tim Smith. Mixed at The Groovehouse, Nashville, by Tim Smith. Produced by Greg Skaff. When the history of American Rock, Blues and Roots music of the late 20th century and beyond will be written, there is no doubt that Oklahoma-born songwriter, singer and guitarist J J Cale will be a significant chapter in it. Born in Oklahoma City in 1938 but raised in Tulsa, J J moved to L.A. in 1964 to pursue a music career, together with fellow Oklahomans Leon Russell and Carl Radle. One of his earliest gigs was a brief stint with the still unkown Delanie and Bonnie. 1970 became a break-out year for JJ when Eric Clapton covered one of his early songs “After Midnight” making it a US Top 20 hit, thus providing J J with needed exposure. In 1971, JJ released his first LP “Naturally” on Shelter Records which contained his versions of several classic Cale songs including “Crazy Mama” and “Call Me the Breeze”. His first record immediately established the inimitable, laid-back and rootsy J J Cale style which remained his trademark for his entire later career. Cale has become a huge influence on the adult oriented roots rock of Eric Clapton, Mark Knopfler, Bonnie Raitt, and many others. His songs have been famously covered not only by Eric Clapton, but also by Lynrd Skynrd , The Band, Bob Dylan, Tom Petty & The Heartbreakers and Santana, to name a few. His many collaborations with Eric Clapton in particular have been highly successful: their collaborative 2006 CD release “The Road to Escondido” won a GRAMMY in the “Best Contemporary Blues Album” category in 2008! 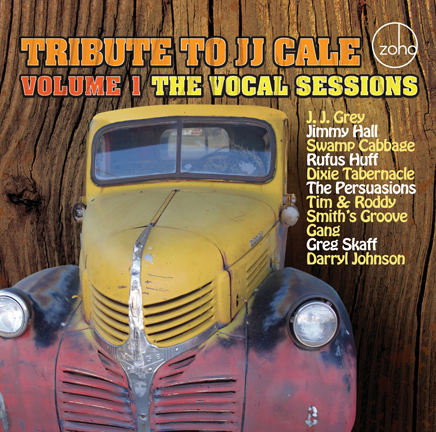 When ZOHO proposed the idea of creating a “Tribute to J J Cale” recording to the label’s artists and their musical friends, no coaxing or convincing was necessary  such was the respect, admiration, enthusiasm and love for his highly distinctive and memorable songwriting. The entire ZOHO Tribute project consists of 28 songs of which the 15 vocal tracks are contained on this album. The 13 instrumental tracks will be released separately. The first four tracks on this compilation are united by the brilliant arranging skills and re-creative powers of Walter Parks, guitarist, lead vocalist and leader of Swamp Cabbage, the Northern Florida swamp rock guitar trio. Walter Parks formed Swamp Cabbage in 2001 as a means of exploring his southern musical influences and sharing his interpretations of them. Walter’s electric guitar style is a mélange of Scott Joplin’s ragtime and Jerry Reed’s bayou pickin’. Matt Lindsey’s bass barks like a tuba through a fuzz box and Jagoda drums like he’s leadin’ a New Orleans funeral parade. On Swamp Cabbage’s 2008 ZOHO ROOTS label debut “Squeal”, the trio offered a rousing, comedic travelogue through Walter’s North Florida upbringing, laced with trailer-trash funk and Z Z Top-style guitar boogie. “Money Talks”, the opening track, thus features Swamp Cabbage with the commanding, powerful lead vocals by Jacksonville, Florida based singer-guitarist J J Grey . He is the frontman of a Soul/Funk/Blues/Southern Rock band originally called Mofro, but now billed as J J Grey & Mofro. Southern Rock legend, singer Jimmy Hall provides lead vocals on “Don’t Cry Sister” and “Sensitive Kind”, again in collaboration with Swamp Cabbage. These four musicians are finding a depth of expression in these classic J J Cale songs which the original, more laid-back versions of the songwriter were only hinting at. Jimmy Hall needs no introduction: at age 20, he moved to Macon, Georgia with his newly formed band, Wet Willie, and was signed by Capricorn Records. Jimmy shared the studio and stage with The Allman Brothers, Lynyrd Skynyrd, Grand Funk Railroad, and a host of others while Wet Willie gained the reputation as one of the hardest working bands on the road. For his featured vocals in 1986 on the critically acclaimed Jeff Beck album “Flash”, Jimmy received his greatest accolade: a Grammy nomination for Best Male Vocalist. His contribution to the J J Cale Tribute is already Jimmy’s third project for ZOHO, following his critically acclaimed 2007 solo album “Build Your Own Fire”, and his sharing of the lead vocals with Bo Bice and Henry Paul on 2009’s Southern Rock all-star “Brothers of the Southland”. “Cajun Moon” and “Same Old Blues” gives you Swamp Cabbage straight up, featuring Walter Parks’ raspy vocals in front of dense tapestries of sound which are both traditionally Southern roots, but also completely contemporary Americana. The Persuasions - seated feft to right: Jimmy Hayes, "Sweet" Joe Russell. Back row left to right: Dave Revels, Raymond Sanders, Jayotis Washington. The songs “Any Way the Wind Blows” and “Lies” were contributed and recorded by Nashville-based studio band “Dixie Tabernacle”. It is another offshoot of the Kentucky HeadHunters, featuring their current vocalist and bassist Doug Phelps. Co-principal and co-producer of Dixie Tabernacle is Larry Goad, a longtime working musician who currently produces artists out of his own Abbey Goad Studios in Nashville. Both tracks exude a Country Rock flavor complete with harmony vocals, and layers of guitar tracks. At this juncture in this compilation, the most significant musical shift of gears occurs: while all of the prior tracks had a distinctly Southern character, the next stop on the road map is Brooklyn, New York: please meet the classic a capella group The Persuasions on their first return to the recording studio after an absence of several years! Group member Dave Revels’ innovative arrangements of J J Cale’s “Traveling Light” and “I’ll Make Love to You Anytime” transform both songs into gospel-tinged anthems of great tenderness and spiritual strength. 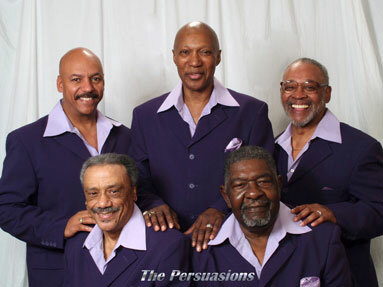 In their recording and performing career of almost 50 years, the Persuasions recorded masterworks for Capitol, MCA, A&M, Elektra , and later for Flying Fish. They backed up everybody from Paul Simon to Stevie Wonder, joined Joni Mitchell on her milestone “Shadows and Light” tour, and were the only a cappella band to earn a niche on FM rock/pop stations at the time. In the last eleven years, The Persuasions have made it their specialty to record tribute albums to some of the great icons in Classic Rock, including the Grateful Dead, U 2, The Beatles, and Frank Zappa & The Mothers of Invention. Following our Brooklyn sojourn, we are returning once again to Nashville with Tim & Roddy Smith’s Groove Gang, the acoustic side project to their already well established “electric” project  the Mr Groove Band. Bassist / producer Tim Smith and his brother, guitarist Roddy Smith, have already enriched ZOHO’s catalog with three historic productions surrounding Bonnie Bramlett (2006), Boots Randolph (2007) and the Tribute to Ike Turner (2009). ZOHO is thrilled to welcome them back with their marvelous, classic bluegrass fiddle, dobro and guitar treatments of JJ Cale’s “Ridin’ High” and “Louisiana Women”. Singer Darryl Johnson also lives in Nashville, TN. He is a long-time member of the Mr. Groove Band, and is one of America’s most recorded studio singers. He was also a member of The Drifters in the early 90s with whom he recorded a popular Christmas album. Darryl is the lead vocalist on the two “Tim & Roddy Smith’s Groove Gang” selections, and also on “Don’t Wait”, in an intense, poignant collaboration with jazz guitarist Greg Skaff. Greg Skaff, a native of Wichita, Kansas, is a Harlem, NY based jazz guitarist and composer. After moving to New York in the early 1980s, Skaff’s first professional gig was with the legendary Stanley Turrentine. The sax master was so impressed with Skaff’s playing that he kept the young guitarist in his employ for the next five years. Following his tenure with Turrentine, Skaff has gone on to make his mark as a bandleader and as a sideman with Ruth Brown, Freddie Hubbard, David “Fathead” Newman, and Bobby Watson, among others. On his second ZOHO CD release “East Harlem Skyline” (2009), Greg Skaff reached new heights as a guitarist and composer in what the New Jersey Star-Ledger called “a vibrant view of the modern day jazz guitar-organ-drums trio.” The CD included guest spots by heavy hitters Darryl Jones on bass (Rolling Stones, Sting) and Charley Drayton on drums (Herbie Hancock, Iggy Pop). Both are back on the bonus track “Money Talks” which also features Mike Finnegan (Jimi Hendrix, Rod Stewart) on organ, and again the inspired lead vocals by Jimmy Hall.